$200 Federal, Military And Veteran Discounts! Thank YOU For Your Service! 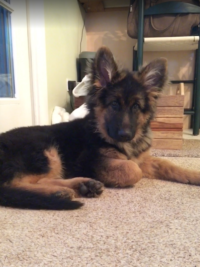 View our German Shepherd Puppies For Sale! 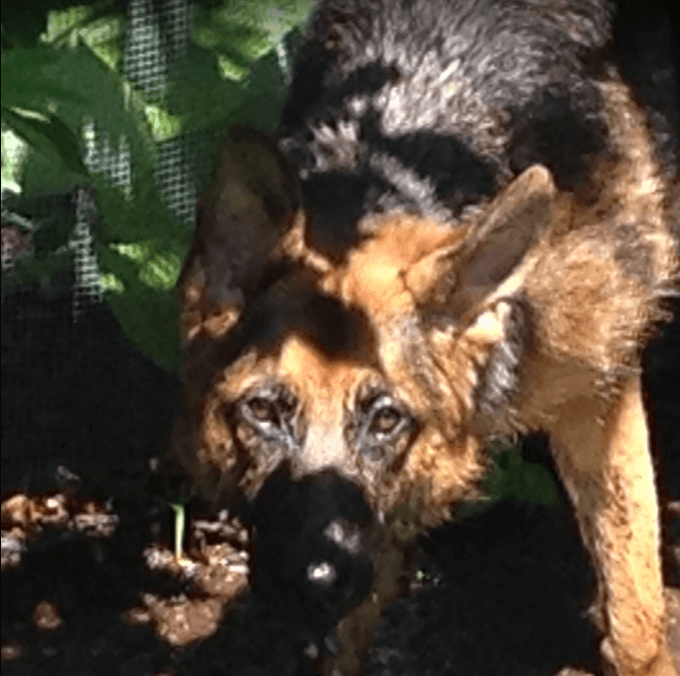 Since 2009, Roche’s German Shepherd’s has been breeding purebred German Shepherd dogs. 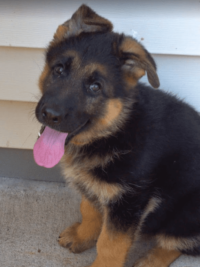 Staying true to the strict German standard, we offer quality German Shepherd puppies for sale throughout Chicago, Northern Illinois, Eastern Iowa and Wisconsin. We are committed to utilizing world class, imported German Shepherd dogs from top producing West German Shepherd lines. Our lines include some of the world’s best, including Zamp vom Thermodous, Dux Delavalcovia, and Yasko Farbinspiel, ensuring that we breed puppies of the absolute highest standards. The ultimate goal of our breeding program is to produce loving family companions. 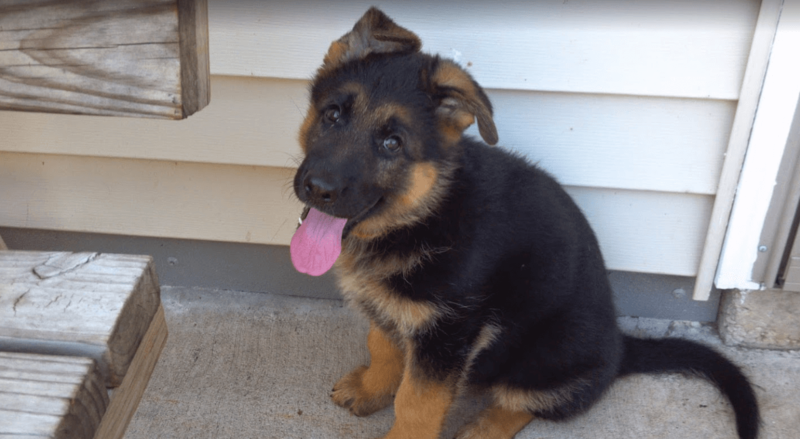 For this reason, we breed German Shepherd puppies with solid nerve, courage, adaptability, intelligence, and instinctive protection skills. These traits are only obtainable through the strict breeding process we adhere to. To produce the perfect addition to your family, each puppy is born and raised in our home. At four weeks, we introduce all pups to the outdoors, and at six weeks, we start all puppies on the NuVet supplement, building a foundation for a strong, long healthy life. German shepherd puppies are a great addition to family homes as well as excellent dogs for a variety of jobs. Because of their intelligence and quick-learning abilities, this breed has long been used for a range of tasks from herding to home protection. German Shepherds are one of the most popular breeds in the country and our dogs are the cream of the crop. Contact us today for more information at 262-592-3009. 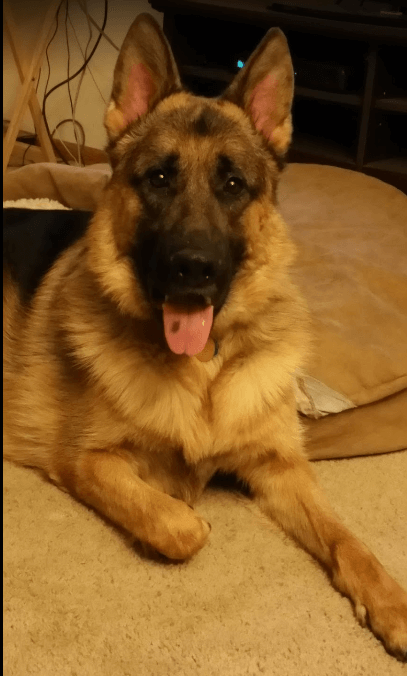 To view our available puppies and upcoming German Shepherd puppies for sale in Wisconsin, please browse our website. We are available to answer any questions you might have about these wonderful animals. Pedigree German Shepherd stud dog, Untox Von Der Freiheit Westerholt V94 SchH3 KK1 1a. 2009 World Sieger Competition. Jeff and Rhonda are second to none in regards to Pure Bread German Shepherds. They are so unbelievably devoted and caring for ALL of their dogs, whether it be a brand new puppy or older dog sold years back. What impresses me the most with Jeff and Rhonda is the family atmosphere and the fact they STAND behind all of their dogs. Everything is out in the open and completely stress free, they have their puppies best interest in mind before they sell and go above and beyond to inform you of what to expect along with care, feeding and tips/tricks. I know my girl will live a long and healthy life, however the day will come when she is gone and i will be back to buy another puppy from Jeff and Rhonda, they are the best people I've ever dealt with buying a puppy from. 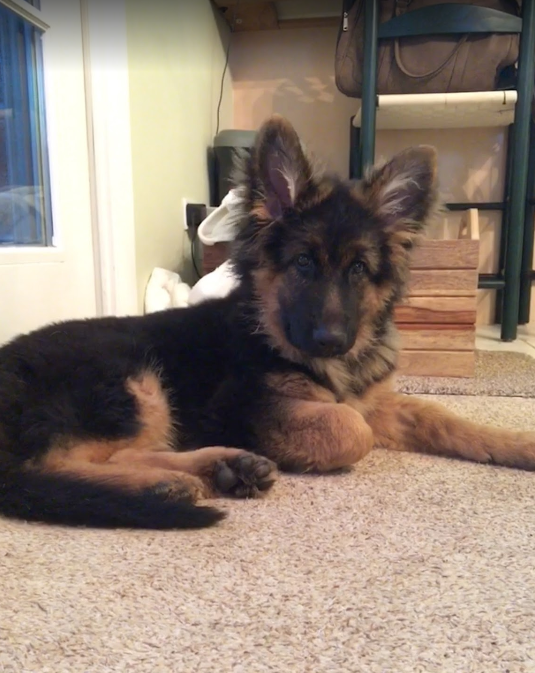 My family purchased our first GSD puppy from Roche's German shepherds in August of this year. We are so impressed with the temperament and beauty of our little girl. Not so little anymore. Jeff and Rhonda have so much pride and love they give their own dogs and you can certainly see how this trait carries over into the puppies. Max the father, is absolutely stunning and his temperament and demeanor is exactly what we were looking for. With little children in the house temperament was very important to us. Thanks again Jeff and Rhonda for giving us such a loving healthy puppy. Jeff and Rhonda are amazing people and love what they do. They treated us like family and made sure we were informed every step of the way as you patiently wait for our new arrival. They spend a lot of time to get to know us and to make sure we got to know them. Getting a new puppy is serious business, they wanted to make sure we were going to be a good family for her and that we were ready with all the information and tips on how to take care of her. We got Lola, daughter of Max and Yaska. 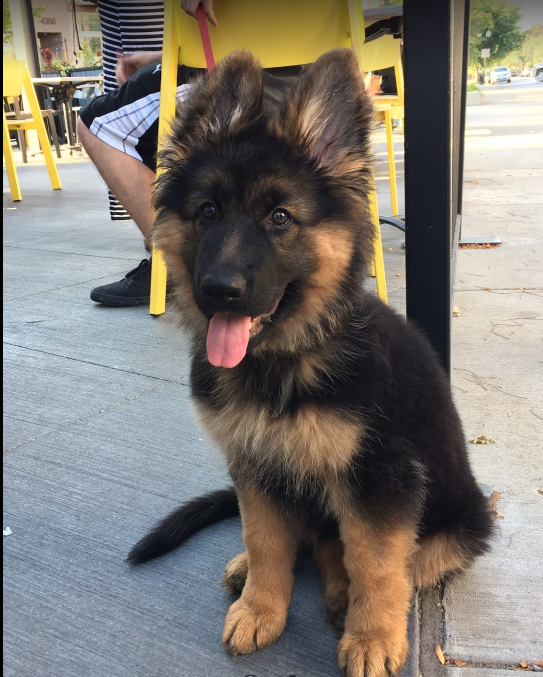 A beautiful long haired German Shepherd. She is a lovely pup, super intelligent and loving. Yes, sometimes she terrorizes our house cats and chews on our furniture, but we love her for the puppy that she is. We are taking to puppy training and she is learning fast. Thank you Jeff and Rhonda! 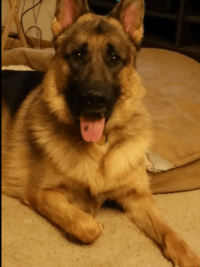 My husband and I had the pleasure of coming in contact with Roche's German Shepherds back in 2012 when we were in search of getting our first dog. Rhonda and Jeff were nothing but kind and informative with us being that this was going to be mine and my husband's first dog together and our first big dog. There was a hiccup with the purchase of our first male dog due to an issue but with the help of Rhonda we got through it and came out stronger together and we now have our handsome boy Heisenberg. A few years later we wanted to add a female into the mix and we again contacted Jeff and Rhonda. This time we were in search of using a different male and female for the parents due to Heisenberg's dad being retired so we went with Max and Salsa for the parents of our female. We are beyond pleased with our decision. Our female, Khaleesi, is beautiful and healthy. She is also super smart and very social. We have also become really good friends with Jeff and Rhonda along the way and we see what kind of people they are as well as business owners and I would HIGHLY RECOMMEND them to anyone of my friends, family members, or strangers. I understand you can't please everyone when owning a business and it is good to have bad reviews out there along with the good however it is also very distasteful of one particular individual to belittle a person because they are unhappy with a service. There are always two sides to every story. 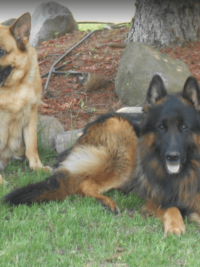 Roche's German Shepard's breed the BEST GSD's ever!!!! I have been training dogs for 14 years for police, fire and rescue. I would not go anywhere else for a Shepard! Jeff and Rhonda have kept in touch with me since day one when Scout was born! To this day they will send me a message and ask how he is doing or call! Scout is trained for detecting drugs and tracking. He loves to work and loves to snuggle with me! I have 2 other fur kids and he is AMAZING with them also. I have a rescue boxer who is deaf and Scout is her ears! Scout helps her and will wake her up when needed. Scout has changed my life for the better as well!!! I have a bad back and he will pick things up off the floor for me when asked to! AMAZING!!!! 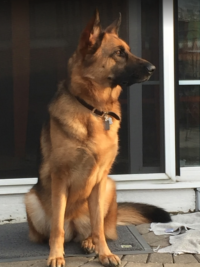 Having a Roche GSD has been the BEST thing I ever did! I will always have family because that's how Jeff and Rhonda treat us! I highly recommend them to anyone who is looking for the best dog they could ever have!!!! Thank you Jeff and Rhonda for Scout! He is such a blessing to have! He always will be. Pictures below...The first picture is Scout at 6 weeks old, second picture is Scout's parents Hans and Nigolina the last picture is of him now! Thank you Roche's for everything you do and continue to do for all the families of your puppy's! 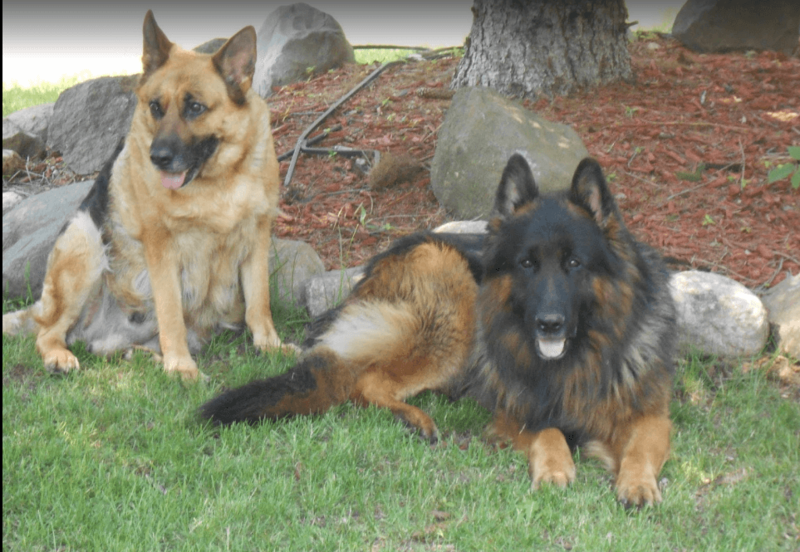 Roche's German Shepard's breed the BEST GSD's ever!!!! I have been training dogs for 14 years for police, fire and rescue. I would not go anywhere else for a Shepard! Jeff and Rhonda have kept in touch with me since day one when Scout was born! To this day they will send me a message and ask how he is doing or call! Scout is trained for detecting drugs and tracking. He loves to work and loves to snuggle with me! I have 2 other fur kids and he is AMAZING with them also. I have a rescue boxer who is deaf and Scout is her ears! Scout helps her and will wake her up when needed. Scout has changed my life for the better as well!!! I have a bad back and he will pick things up off the floor for me when asked to! AMAZING!!!! 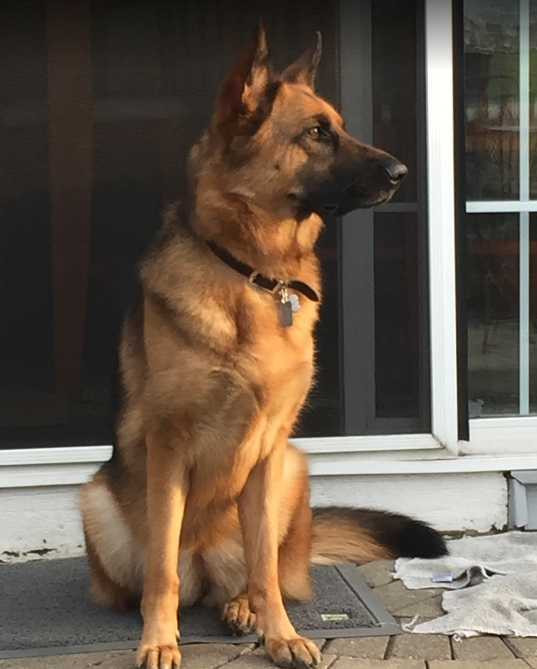 Having a Roche GSD has been the BEST thing I ever did! I will always have family because that's how Jeff and Rhonda treat us! I highly recommend them to anyone who is looking for the best dog they could ever have!!!! Thank you Jeff and Rhonda for Scout! He is such a blessing to have! He always will be. Pictures below...The first picture is Scout at 6 weeks old, second picture is Scout's parents Hans and Nigolina the last picture is of him now! Thank you Roche's for everything you do and continue to do for all the families of your puppy's! We love Jeff and Rhonda! They produce incredible GSDs. 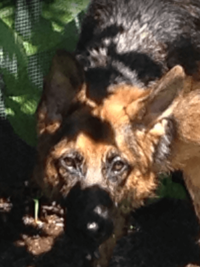 We have a four yr old female, Arya by Untox. She is beyond intelligent, obedient, protective and yet so gentle with children and babies. To top it off, Arya is my seizure dog. Thank you Jeff & Rhonda!